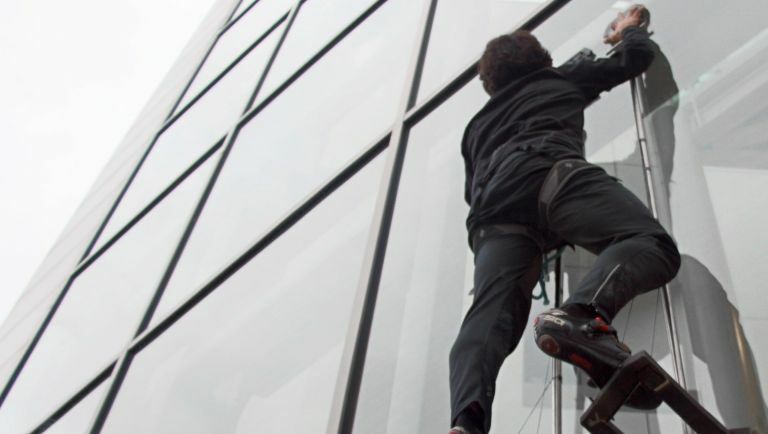 Ever had dreams of sticking to the side of a building like a certain Peter Parker? We're pretty sure we've all had web-headed aspirations, and if a new adhesive tech coming out of Stanford University is anything to go by, that dream could about to be a reality. Say hello to the Gecko Glove. A new glove that aims to solve the long-standing obstacle of how to hold up the weight of a normal adult human. The engineer behind the new climbing tech, Stephen Hawkes, says the problem has been solved by using a large surface area covered with 24 adhesive pads. These pads, made up of saw-toothed nanofibers, will hold fast against a wall when pressed against it, and will detatch when the user pulls their hand away. The real magic of this wearable doesn't just come from those super-sticky pads, but from a depressive shape-aloy springs on its back. These springs are completely unique in their nature, which actively soften as you pull away from the surface you're stuck to.